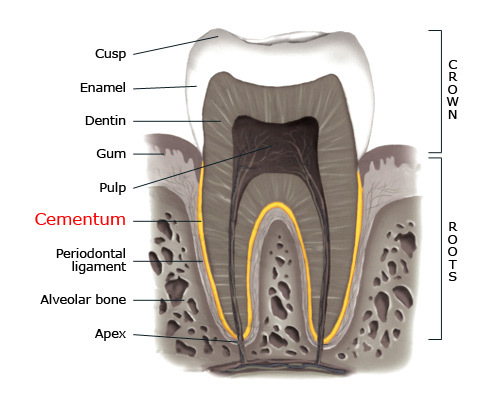 Cementum is a very thin and calcified layer of tissue that covers the surface of the root of the tooth and ensures the cohesion with the alveolar bone. 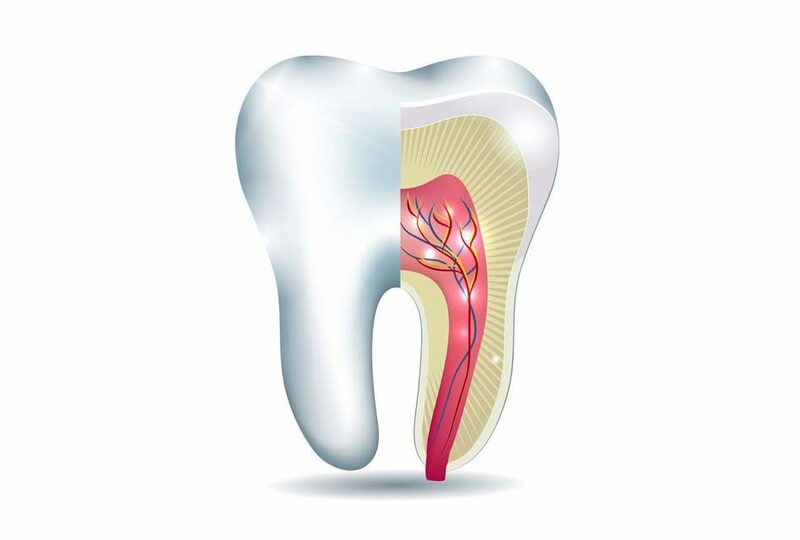 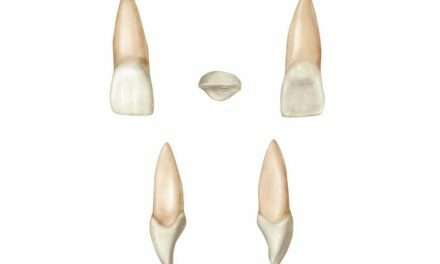 It is produced by cells called cementoblasts, and is softer and less mineralized than enamel and dentin. 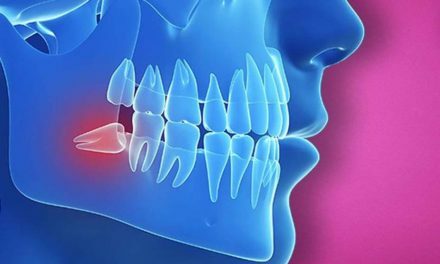 Cementum can be destroyed during certain disorders, particularly periodontal diseases, which affect the tooth and its supporting tissues. 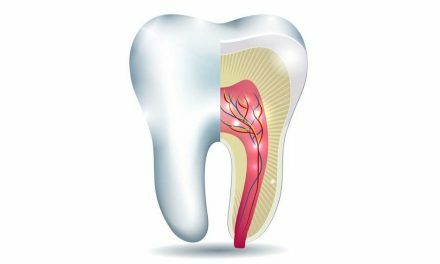 When excessive cementum is formed around a root, the condition is known as hypercementosis.